We are writing this on the day of the opening ceremony in Russia 2018, and we are looking forward to five weeks of international football, as well as five test matches against India and, of course, the All England Tennis Championships at Wimbledon. 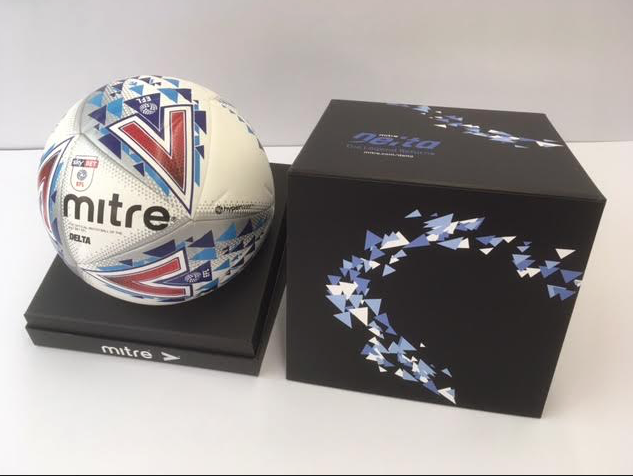 Over the past few years GWD Limited have been involved in a number of presentation packaging products for sporting launches and other events. 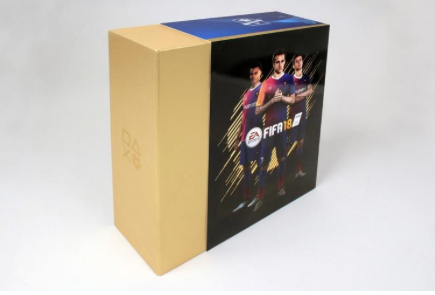 In April we wrote in our blog concerning a packaging product we were commissioned to create for EA sports for their FIFA18 video game – this style of packaging, a hinged lid box with a magnetic closure, is one of our specialities. In the past we have manufactured other examples of sport-related packaging. 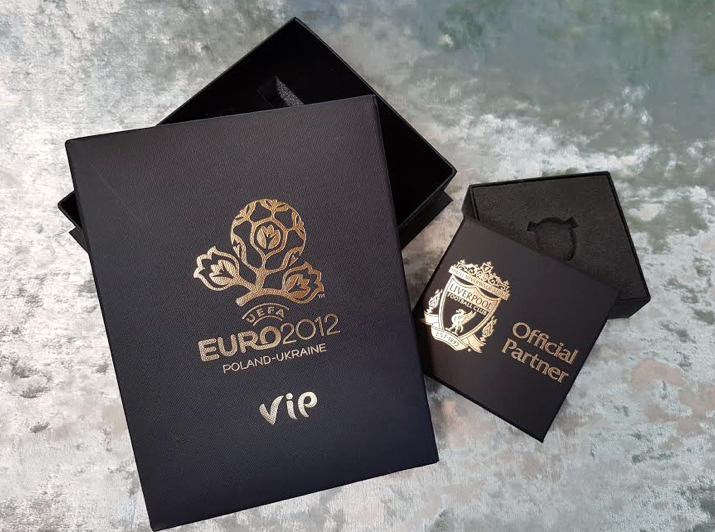 For example below are two other boxes of different construction, commissioned for the promotion Liverpool FC and the European Championships of 2012 respectively. The Liverpool box had a foam insert and contained a Liverpool FC badge which was being sent to the clubs official sponsors and partners. The Euro 2012 box again contained a foam insert with promotional items in it, such as tickets, lanyard and USB sticks. It’s not just soccer that we’re involved in. The two round boxes below were made for De Rosier Chocolates for Wimbledon this year. 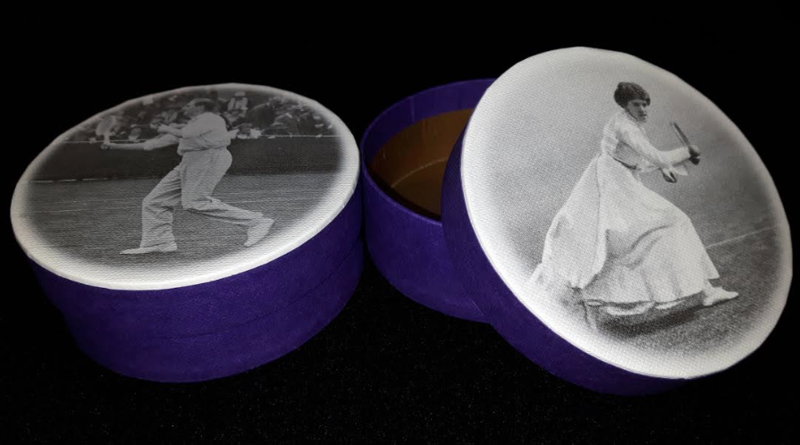 Designed in purple (Wimbledon’s branded colour) they featured images of Dorothea Lambert Chambers (who won the Wimbledon singles title 7 times and a gold medal at the 1908), and of course, Fred Perry who won 10 Grand Slams, including 3 Wimbledon Singles titles. The boxes were designed to hold 6 chocolates. Round boxes are one of our specialities – we are one of a very few companies who can manufacture round ‘Hat’ boxes here in the UK. Naturally, round boxes are especially appropriate for ball sports events and promotions. If we can help you or your clients with any promotional or presentation packaging requirements, please do get in touch. This entry was posted in Box Making, Sport and tagged FIFA18, Football Clubs, Mitre, Wimbledon. Bookmark the permalink.